With Mother Nature is playing fast and lose with the weather and the School Holidays upon us, it pays to have a couple of rainy day options to keep the kids amused. The Girl In Row K checks out some moving options. It’s jolly old Easter and that means the first school holidays of the year. It also means a high chance of rain. For my money, there’s no better wet weather shelter than your local cinema, with options for kids (and their adults) of all ages on offer this month. Tinker Bell and her merry band of winged pals are back this school holidays with Tinker Bell and the Legend of the NeverBeast. The sixth movie in this saccharine sweet series, NeverBeast focuses on animal loving fairy Fawn, who befriends the aforementioned many fanged monstrosity. Coming from Disney there’ll be more than a spoonful of sugar to help the moral medicine go down, but at just over an hour long Tink might not be not the best value for money. 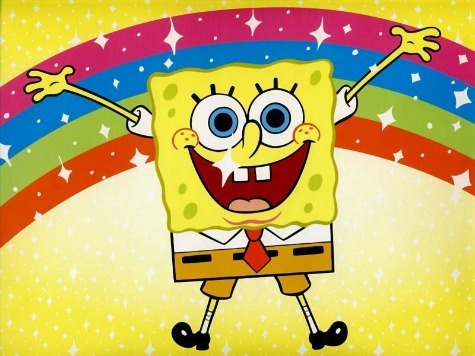 If you’re kids are of a more whacky bent – and let’s face it, most of them are – there’s also the zany underwater antics of SpongeBob Square Pants in his second film – The SpongeBob Movie: A Sponge Out Of Water. A blend of live action and animation, the film pits SpongeBob, Patrick and the rest of the gang against the greedy machinations Burger Beard the Pirate with arch weirdness, oceanic puns and the kind of salty jokes that make any 8-year-olds pee their pants laughing. If you have kids of few ages, a good bet these holidays could be The Book Of Life. 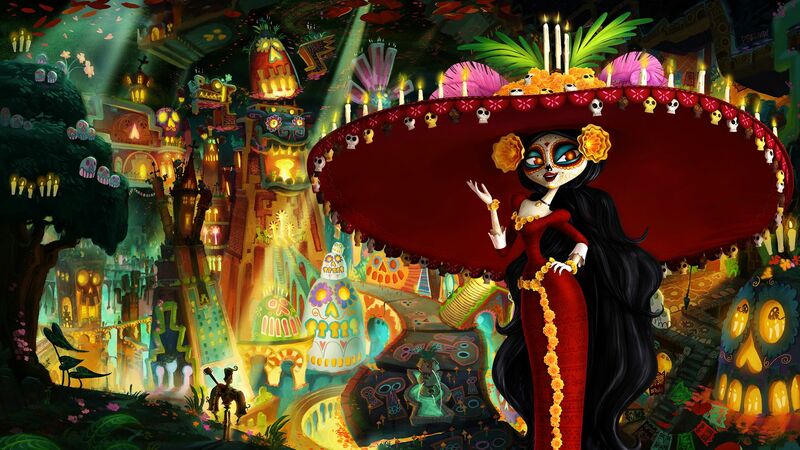 With a voice cast that includes Channing Tatum, Zoe Saldana and Danny Trejo (of Machete fame), and having been produced by horror and weirdness maestro Guillermo Del Torro, The Book of Life is likely to be something special. Vibrant colours, talking skulls, and telenovela emotion tell this story about two best friends who fall in love with the same girl, drawning the dangerous attentions of La Muerta (Death) and Xibalba, ruler of the shady land of the forgotten. There is a real gap in the holiday market here. Unless it’s a YA adaptation, teens are just not being catered to at the cinema. So maybe it’s time to bust out a few classics – The Breakfast Club, Ferris Bueller’s Day Off, Pretty In Pink and Sixteen Candles are all available on Netflix, iTunes and DVD. John Hughes’ 80s odes to teen angst still stand up today, though they might seem a little quaint – no-one has mobile phones or Facebook. Alternatively, if your teen is still terminally bored, why not get them to put their phones to good use and shoot a movie of their own? There are lots of apps to help them shoot, edit and download video for You Tube and Vimeo. You’re little darling could be the next Spielberg. Also playing: Cutesie sci-fi animation Home from DreamWorks. More stop-motion mastery from Aardman Studios, the makers of Wallace and Gromit, in Shaun the Sheep. Live action films, Cinderella and Insurgent are both still in cinemas.